In the Model 201 mode, only sounds ripped from old analog cassette tapes were used in these tracks. 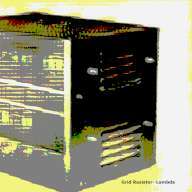 This Grid Resistor release specifically uses sounds derived from the extra noises at the end of several decade-old audio cassettes. 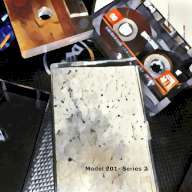 Only tape sounds were used as source material in Lambda. 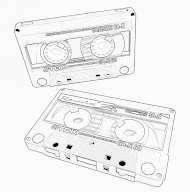 These are sounds derived only from the noise found at the end of several 10-15 year old cassette tape recordings. Tape Sound Outtakes at Archive.org.